Over the Christmas holidays, Isabelle and her friend Ava made a rice krispy Christmas tree. They wanted to sell this at a Bake Sale and had made invites to their friends in our neighborhood to come to this “Bake Sale”. I stopped them from doing this, explaining that they needed to have more than 1 item to sell and also have more than 1 hour notice to sell something!! 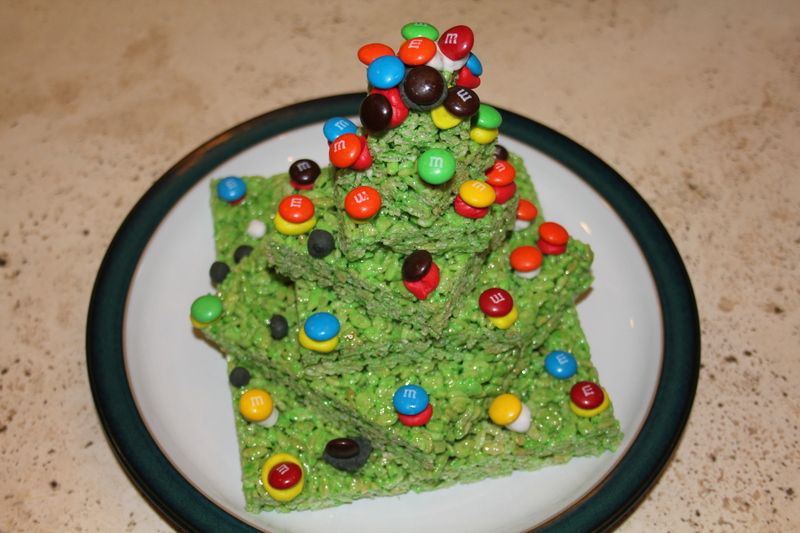 The Rice Krispy Christmas Tree that started it all! First, we talked about what she should sell and how much she should charge. Then we talked about advertising and how to get people to come to buy “stuff” from her. Then we talked about the fact that more people would come and buy if they knew it was for a good cause and not just for spending money for Isabelle!! 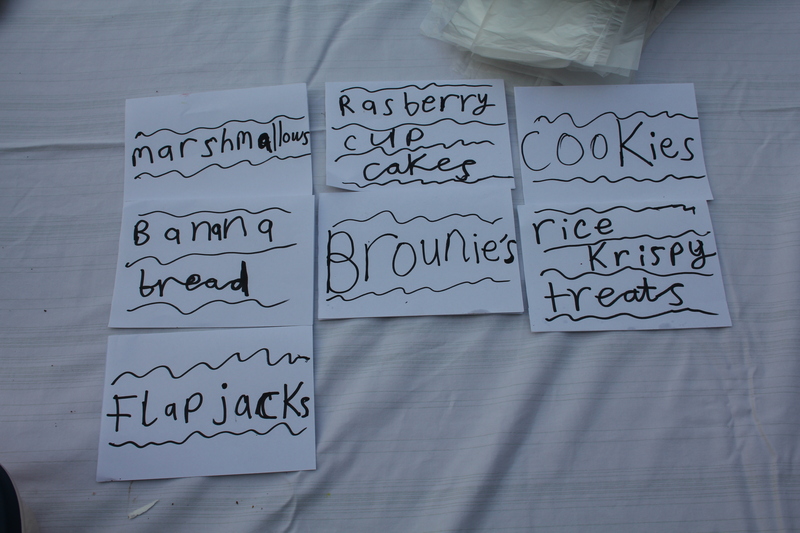 She decided that she wanted to do the Bake Sale the weekend before our trip to Harbin. Isabelle wanted to send hand written invites to every house in our neighborhood, and so Owen then educated her about the power of email! He sent an email to every house in our compound to advertise her venture. She had also decided on what to sell and between her and Ava, they had persuaded Owen, Emma (Ava’s Mum) and me to make things for them to sell! The week of January 7th – 12th and Isabelle can talk of nothing but her Bake Sale on Saturday! Owen had been busy making marshmallows (1000 times better than what you can buy in the shop!) rice krispy treats and flapjacks. Emma had made gingerbread, banana bread, cookies and cupcakes. I had made cupcakes. A lovely friend had also made brownies for the girls to sell. They decided to sell everything for 10 RMB. They had to work out the math, after all!! 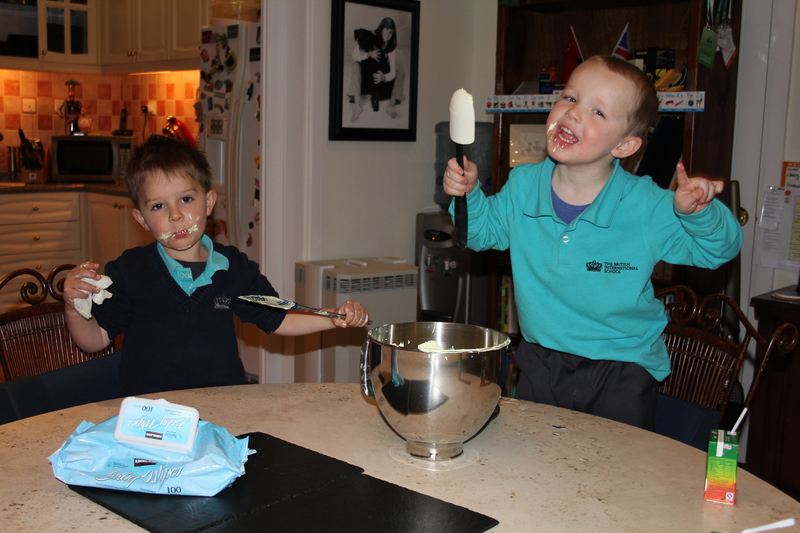 Owen had a couple of helpers – Oliver and Ethan (Ava’s brother and Oliver’s best friend) were all too eager to lick out bowls! Oliver and Ethan “helping” Owen with making Marshmallows. 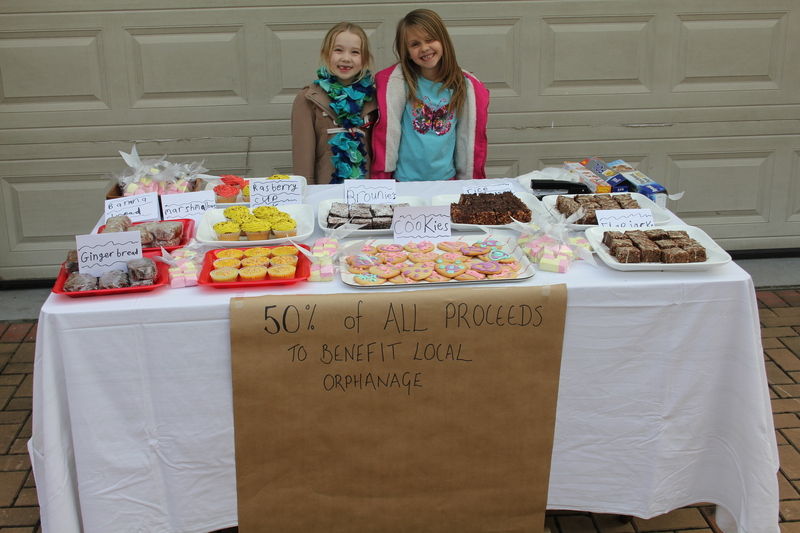 Isabelle and Ava had decided to donate 50% of their proceeds to one of the charities that BISS supports – a local orphanage. 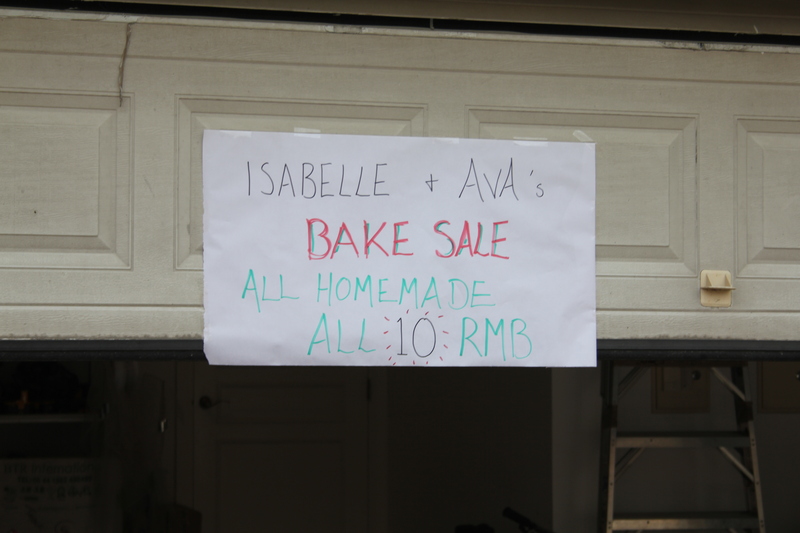 Advertising Isabelle and Ava’s Bake Sale! The Bake Sale was on for 1 hour only. Owen had received some “pre-orders” from people who could not make it but wanted to buy some goodies, so before Isabelle and Ava opened for business they were already in profit! From 2-3pm on Saturday January 12th the girls sold almost everything on the table. They were nice to all customers, worked out all the amounts to charge and the right change, packaged it all up nicely and kept a smile on their faces. I was so proud of them. A lot of customers! The whole hour was non-stop customers! Isabelle’s labels of all the items for sale. To all our amazement, the girls made 2300 RMB in one hour. (Approximately £230 / $180) The residents of Emerald had been very generous – many of them donating more than the total of items they were buying. Because they had made so much money, Emma, Owen and I had a conversation about the money and what they thought would be a good amount for spending money. They decided to take 250RMB each and donate the rest to charity. 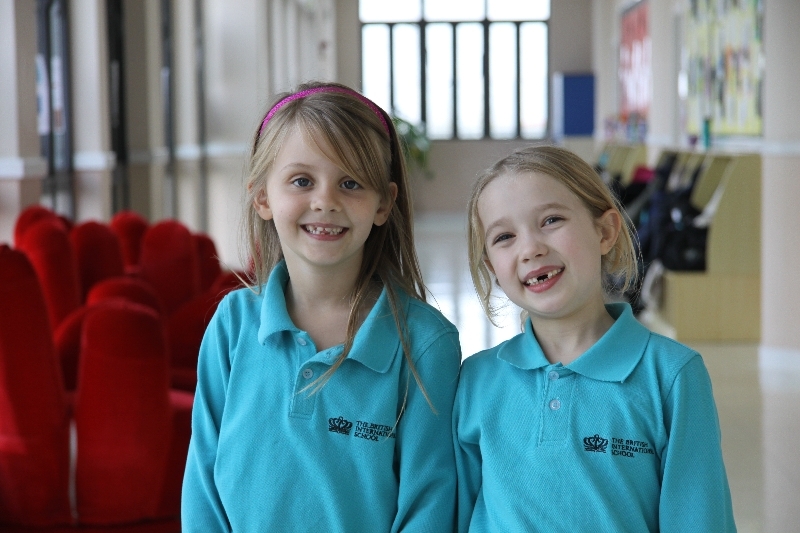 On Tuesday I had the delight of meeting two students, who had taken the time to plan, set up and run a bake sale in order to raise funds for a school charity and a trip to Harbin. Ava Rhind and Isabelle Jones displayed enterprising nature and charitable spirit by setting aside personal time outside of school to provide baked goods to the lucky (and generous) residents of the Emerald. Isabelle and Ava outside the Primary Head’s office. For all the right reasons!! -being a confident and responsible citizen. It was an absolute delight listening to these two budding entrepreneurs’ recounts of the bake sale and the lead up to it. 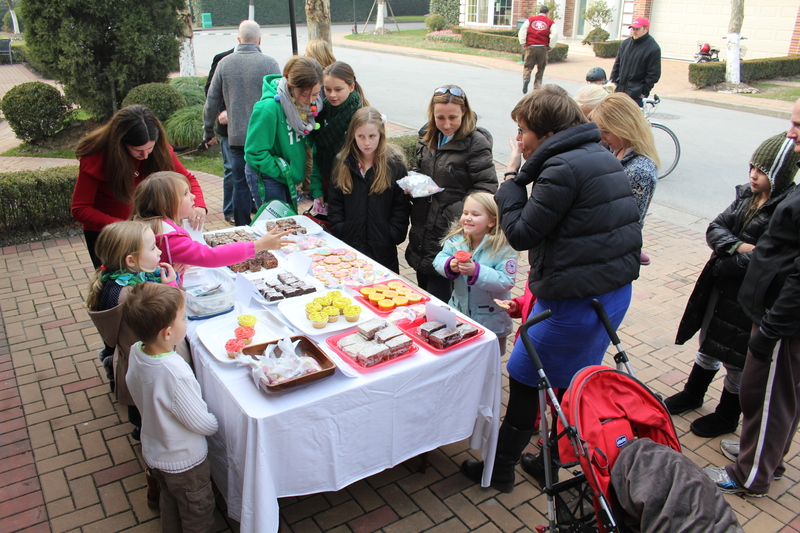 They spoke clearly and eloquently about their ideas, the support from parents and neighbours and the generosity of those purchasing the tasty treats. I am sure their parents are as proud of them as we are and we all wait with baited breath to see what their next venture might be. I have only one complaint…where was my cake? I am so proud of Isabelle. She was highlighted at school for all the right reasons. They both raised so much money for the orphanage (1800RMB goes a loooonnnnggg way here) and then spoke about the steps they went through in a clear and articulate manner. This entry was posted in Uncategorized and tagged Bake Sale, BISS, Charity, Enterprise, Kids, Orphanage, Philanthropy. Bookmark the permalink.